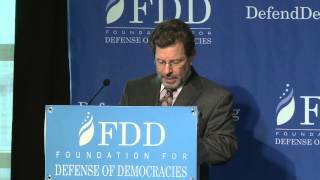 Clifford May is a neoconservative activist and writer who heads the Foundation for Defense of Democracies (FDD), an advocacy group that emerged in the wake of the 9/11 terrorist attacks to push an expansive "war on terror" focusing on the Middle East. May is also a former journalist who worked for several radio, print, and TV outlets, including PBS, CBS, Newsweek, and the New York Times. FDD claims that it is “a non-partisan institution focusing on national security and foreign policy” that was “founded by a group of former U.S. officials and visionary philanthropists shortly after the attacks of September 11, 2001 to help free nations defend themselves.” Despite its non-partisan claims, the group has been closely associated with several other advocacy groups that have espoused hawkish policy agendas, typically in line with right-wing “pro-Israel” factions in the United States. FDD’s emergence also coincided with the founding of a passel of similarly oriented groups, including Americans for Victory over Terrorism, Family Security Matters, the Committee for the Liberation of Iraq, the Coalition for Democracy in Iran, and the Committee on the Present Danger. After a comprehensive nuclear deal was reached between Iran and six major world powers in July 2015, May argued that the United States should have increased sanctions to get a better deal but that instead "Mr. Obama seeks to accommodate and appease Iran's rulers." He then added: "It would be an exaggeration to say that such policies always lead to major wars and holocausts. But can you tell me when such policies have led to good outcomes?" May joined a chorus of right-wing figures in criticizing the Obama administration’s efforts to reform U.S. nuclear strategic policies, claiming that reductions to the nuclear arsenal established in the new START agreement negotiated with Russia will be seen by terrorists as an opportunity to be exploited (despite that fact that the treaty will allow the United States to maintain 1,550 deployed strategic warheads). May also erroneously declared that the new START “may limit our ability to deploy additional missile defense,” a view that despite its popularity on the right has been repeatedly dismissed by serious arms control specialists. May also contributed his name to a widely noted May 2010 Washington Times editorial that called for a “renewed adherence to the national security philosophy of President Ronald Reagan: ‘Peace Through Strength.’” Offering a 10-point plan to protect America, the authors—who also included the Center for Security Policy’s Frank Gaffney and Reagan-era figure Edwin Meese—argued that “freedom,” “America’s exceptional role,” and even the country’s very existence are at stake as a result of an astounding array of alleged threats facing the country. These threats included missile attacks, Shariah law, electromagnetic pulse weapons, Islamic terrorism, undocumented immigrants, and a weak military. A veteran journalist, May worked as a correspondent for the New York Times, a senior editor for Geo Magazine, and an associate editor for Newsweek. He writes a weekly column that is nationally distributed by Scripps Howard News Service, and he has contributed to the National Review Online, CNN's American Morning, and National Public Radio's Morning Edition, among other outlets. In the late 1990s, May edited Rising Tide, the official magazine of the Republican Party. During George W. Bush’s second term, May served as a member of Secretary of State Condoleezza Rice's Advisory Committee on Democracy Promotion (ACPD). May was appointed for a two-year stint beginning in 2006. Undersecretary of State Paula Dobriansky served as executive director of the committee. Other committee members include Carl Gershman and Vin Weber of the National Endowment for Democracy, Michael Novak of the American Enterprise Institute (AEI), and Jennifer Windsor of Freedom House. In September 2007, Media Matters criticized May for failing to disclose his government ties, and those of the FDD, during media appearances. "[May] has appeared in the media several times to defend the administration's conduct of the Iraq war,” the progressive media watchdog group published on their site. “However, in none of his columns or on-air appearances has May disclosed that FDD has received at least $1.2 million in State Department grants since 2004, or that May himself is a member of Secretary of State Condoleezza Rice's Advisory Committee on Democracy Promotion." May was also a member of the Iraq Study Group's Military and Security Working Group of Experts, which was formed in March 2006. As the Washington Post reported in December 2006: "A key recommendation of last week's Iraq Study Group report was that the Bush administration should reach out to Iran and Syria to improve the situation in Iraq. The White House has long rejected the notion, but nearly all of the 44 experts who worked on the report supported it. However, two conservative holdouts—Clifford May, a former Republican National Committee spokesman, and Reuel Marc Gerecht of the American Enterprise Institute—needed some extra convincing. In a series of e-mails, James Dobbins, a former diplomat and the chief architect of Afghan reconciliation (now at Rand Corp.) made his case. In the end, May was won over but Gerecht was not." Before joining the FDD, May was director of communications for the Republican National Committee. May's corporate connections have included working as the senior managing director of Weber Shandwick, which describes itself as "one of the world's leading public relations and communications management firms." May has also served as vice-chair of the Republican Jewish Coalition and was a signatory of various statements published by the Project for the New American Century (PNAC). May currently serves as chairman of the Policy Committee of the Committee on the Present Danger (CPD), which the FDD describes as a "venerable Cold War group." CPD was revived by the FDD and a plank of hardline Democrats and Republicans in 2004. Sen. Jon Kyl (R-AZ) and Sen. Joseph Lieberman (I-CT) serve as CPD's honorary co-chairmen. George Shultz and James Woolsey are the co-chairs of CPD's six-member board of directors. May has been associated with the Henry Jackson Society, a conservative group launched in Cambridge, England in March 2005. The society was founded, in its own words, on the idea that "liberal democracy should be spread across the world; that as the world's most powerful democracies, the United States and the European Union—under British leadership—must shape the world more actively by intervention and example; that such leadership requires political will, a commitment to universal human rights, and the maintenance of a strong military with global expeditionary reach; and that too few of our leaders in Britain and the rest of Europe today are ready to play a role in the world that matches our strength and responsibilities." Included among the think tank's international patrons are May and other neoconservative luminaries like Bruce Jackson, Robert Kagan, William Kristol, Richard Perle, Joshua Muravchik, and Woolsey. May's FDD has been packed with "insiders" such as Jack Kemp, Newt Gingrich, Woolsey, Gaffney, Kristol, and Perle. An indication of the FDD's emergence as a major player in the think-tank world occurred on March 13, 2006, when President George W. Bush delivered a speech on the "Global War on Terrorism" at an FDD-sponsored event. Bush's choice of the FDD as a forum was regarded by many observers as a sign that the administration remained firmly under the thrall of neoconservative-inspired foreign policy, despite worsening problems in Iraq and elsewhere in the Middle East. Bush's FDD speech highlighted not only the new prominence of the FDD, but also of Clifford May. May, who introduced the president, framed the administration's war on terrorism in Cold War terms and also incorporated the FDD's democracy vs. terrorism theme in his opening remarks: "From the moment he stood on the rubble of the World Trade Center, President Bush has demonstrated that he understands the nature of the threat facing our country and the entire Free World," said May. "We stand behind the president in his commitment, his determination to defend freedom and defeat the enemies of democratic societies." The president commended FDD's work during his speech: "The foundation is making a difference across the world, and I appreciate the difference you're making. You have trained Iraqi women and Iranian students in the principles and practice of democracy, you've translated 'democracy readers' into Arabic for distribution across the broader Middle East, you've helped activists across the region organize effective political movements—so they can help bring about democratic change and ensure the survival of liberty in new democracies. By promoting democratic ideals, and training a new generation of democratic leaders in the Middle East, you are helping us to bring victory in the war on terror—and I thank you for your hard work in freedom's cause." Foundation for Defense of Democracies, “Clifford May,” http://www.defenddemocracy.org/about-fdd/team-overview/may-clifford-d/. Foundation for Defense of Democracies, "About," http://www.defenddemocracy.org/about-fdd. John Judis, “The Little Think Tank That Could,” Slate, August 18, 2015,http://www.slate.com/articles/news_and_politics/foreigners/2015/08/foundation_for_the_defense_of_democracies_inside_the_small_pro_israel_think.html. 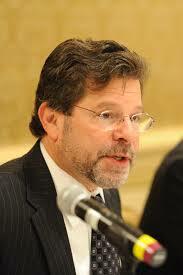 Clifford May, “Jihad 101,” NRO, January 6, 2011, http://www.nationalreview.com/articles/256417/jihad-101-clifford-d-may. Ali Gharib, “Cliff May peddles Iran-Al Qaeda link, again,” IPS Lobelog, January 10, 2011, http://www.lobelog.com/cliff-may-peddles-iran-al-qaeda-link-again/. Clifford May, “The Diplomats’ Dilemma,” Scripps Howard News Service, March 29, 2012, http://www.defenddemocracy.org/media-hit/the-diplomats-dilemma/. Clifford May, “The Dubious deal of the century,” The Washington Times, March 3, 2015, http://www.washingtontimes.com/news/2015/mar/3/cifford-may-obama-thinks-bad-iran-deal-better-than/?page=all. Clifford May, “The case for deadline-triggered sanctions, The Washington Times, January 20, 2015,http://www.washingtontimes.com/news/2015/jan/20/clifford-may-iran-and-the-case-for-deadline-trigge/. Clifford May, "Scuttle Obama's Iran deal, or surrender," The Washington Times, July 21, 2015, http://www.washingtontimes.com/news/2015/jul/21/clifford-may-scuttle-obamas-iran-deal-or-surrender/?page=all. Clifford May, “A laudatory letter to Chuck Schumer,” The Washington Times, August 11, 2015, http://www.washingtontimes.com/news/2015/aug/11/clifford-may-chuck-schumer-right-to-reject-iran-nu/?page=all. Clifford May, “Men of peace in a realm of war,” The Washington Times, June 30, 2015, http://www.washingtontimes.com/news/2015/jun/30/clifford-may-palestinians-and-an-israeli-discuss-t/?page=all. Clifford May, “Mounting a defense against economic warfare,” The Washington Times, August 4, 2015,http://www.washingtontimes.com/news/2015/aug/4/clifford-may-mounting-a-defense-against-economic-w/. Clifford May, “Worse than no strategy,” Foundation for Defense of Democracies, February 11, 2015, http://www.defenddemocracy.org/media-hit/may-clifford-d-worse-than-no-strategy/. Clifford May, “Putin’s Rules,” The Washington Times, February 24, 2015, http://www.washingtontimes.com/news/2015/feb/24/clifford-putins-revisionist-government/?page=all. Clifford May, “Restoring peace through strength,” The Washington Times, August 18, 2015, http://www.washingtontimes.com/news/2015/aug/18/clifford-may-reversing-obamas-military-downsizing-/?page=all. Media Matters, “Iraq war supporter Clifford May fails in media appearances to disclose State Dept. grants to organization he heads,” Media Matters, September 10, 2007, http://mediamatters.org/items/200709100007. Dafna Linzer, “You’ve Got ISG Mail,” Washington Post, December 10, 2006, http://www.washingtonpost.com/wp-dyn/content/article/2006/12/08/AR2006120801612.html. Clifford May, “The Enemy's Ideology,” Scripps News, September 14, 2006, http://www.cliffordmay.org/2044/the-enemys-ideology. Bill Moyers Journal, “Transcript: October 5, 2007,” PBS, http://www.pbs.org/moyers/journal/10052007/transcript5.html . The Henry Jackson Society website has frequently modified the language on its website. For a discussion of its original content, see the profile of the group published by Powerbase, http://www.powerbase.info/index.php?title=Henry_Jackson_Society_Project_for_Democratic_Geopolitics. Clifford May, "Clifford May Introduces President George W. Bush," FDD, March 13, 2006.